Ahead of the July 14 Ekiti Guber election, APC storms communities to campaign as PDP vows to retain power in the state – Royal Times of Nigeria. Ahead of the July 14 gubernatorial election, the women wing of the All Progressives Congress (APC) continues to storm the streets of major communities in Ekiti State in a solidarity road show to mobilise support for the party’s candidate, Dr Kayode Fayemi, in the July 14 governorship election. Led by Erelu Bisi Fayemi, the roadshow went through towns, such as Ayetoro, Ijero, Okemesi, Efon, Aramoko and Ilawe, among others, where Erelu Fayemi and the Women Leaders rode on a Float Truck all day, doing voter education and handing out gifts. The road show that went with fanfare witnessed massive crowds identifying with the women in their efforts to ensure victory for APC and to ensure the return of the era of salary payment and development projects in Ekiti communities. Meanwhile, the incumbent governor of Ekiti State, Ayodele Fayose says the state belongs to the Peoples Democratic Party (PDP), even as he expressed optimism that the APC cannot win the governorship election in the state. 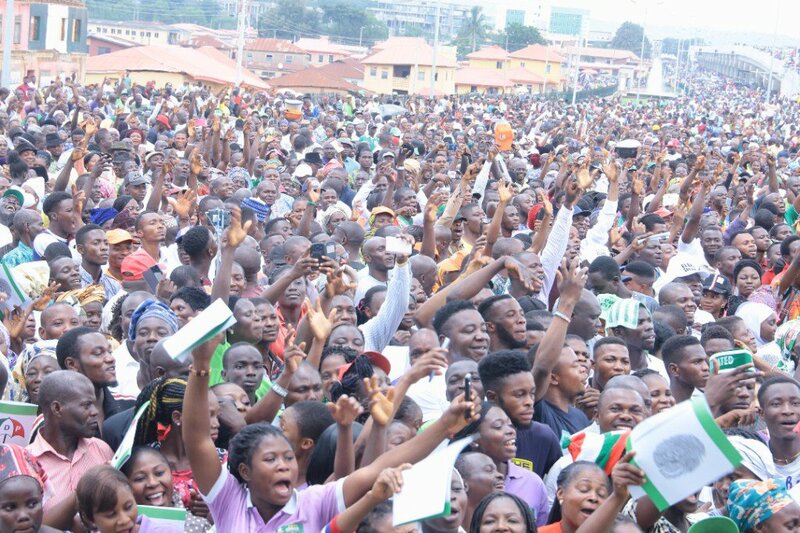 Governor Fayose stated this in Ado Ekiti during a mega rally for the party’s candidate in the July 14 gubernatorial election Professor Olusola Eleka. Fayose also used the occasion to criticise the recent killings in the country and challenged the opposition party, PDP to come back into power.